● First and Third Saturdays of each month. ● 7:00-9:30 pm at Paradise Park, 3737 Manoa Road. See picture and map below. ● Parking is along the main roadway immediately in front of the building entrance. The dance will be in the hall on the ground level. ● Live music is provided by Whiskey Starship. ● No dance partner or experience is required. ● Dress is casual; wear comfortable no-scuff shoes. ● Great exercise! You may want to bring a water bottle, or you can buy bottled water at the snack shop. ● NOTE TO NEWCOMERS: if you haven't Contra danced before, try to get there 15 minutes early for the dance orientation. The first part of the evening is especially good for getting a feel for what it's all about. The caller will explain and teach all the moves for every dance, all evening. All dances are taught and new dancers are welcome to jump in at any time. ● All dances are free! We depend on donations from dancers and friends to support this fun and healthy activity. Click here for a donation form. Dennis Suyeoka, a member of our contra dance band, Whiskey Starship, was rushed to Queens Hospital in early January with difficulty speaking and controlling his muscles. As the condition worsened over the course of a week he was placed in intensive care with a diagnosis of Botulism. Although he has improved since then and was released from the hospital on January 16, he still has difficulty talking due to limited control of his facial muscles. He is expected to make a full recovery but faces several months until he reaches that point. For his "day job" Dennis owns and operates Coffeeline, a coffee shop and gathering place just off the campus of the University of Hawaii. Due to his limited insurance coverage, a Go Fund Me page has been set up to help cover his medical bills and basic living expenses (utilities, cell phone bill, groceries, internet, etc.) over this long recovery process. Also, to maintain Coffeeline, the rent for the past 3 months has been covered to ensure it is still around when Dennis is ready to return. So we are requesting members of the contra dance community to go to his Go Fund Me page (https://www.gofundme.com/dennis-coffeeline-needs-your-help) and donate what you can to help Dennis out. He really needs it and will greatly appreciate it. We will have a third dance in April, on Friday, April 26. 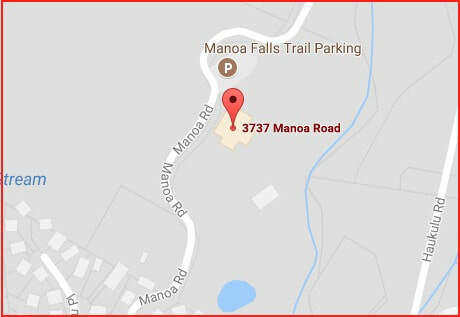 This dance will be from 6:30 to 8:30 pm at Ho'omaluhia Botanical Garden in Kaneohe, in conjunction with a Bluegrass Hawai'i weekend campout. Our regular band, Whiskey Starship, and regular callers will be there. More information will follow soon. Also, Darrow Hand, our former caller who moved to the mainland, will be visiting and will be calling at our regularly scheduled April 20 dance, as well as at the special April 26 dance at Ho'omaluhia. Find out about contra dance on Maui at https://www.facebook.com/mauicontra/. There are several folk dance groups in Hawai'i: International Folk Dancers of Hawaii , Mandala International Folk Dancers, and Hawaii Israeli Recreational Dance. In addition there are Square Dance clubs, as well as Scottish country dance and Scandinavian dance groups. There are also plenty of opportunities for Swing, Country Western, Latin, and ballroom dancing. The DanceHawaii web site has information on all sorts of dance, from contra through country to rave. For English Country dancing on O'ahu, contact Ed Grant at englishcd@yahoo.com or 808-372-9018. You can also check the entertainment sections of local papers. George Marshall often organizes a Tropical Dance Vacation in Hawai'i in the early spring. ● New England Folk Festival Association (NEFFA), a beautifully designed site with a Yahoo-ish index of folk-oriented links. ● The Contra Corners site, of the Louisville Country Dancers, has a nation-wide index of dances and dance links. ● The Country Dance and Song Society is the major membership organization for contra dancers: mail-order store, newsletter, camps, and workshops. ● Best of the Web - Contradance - a helpful resource for researching contradance on the Internet. 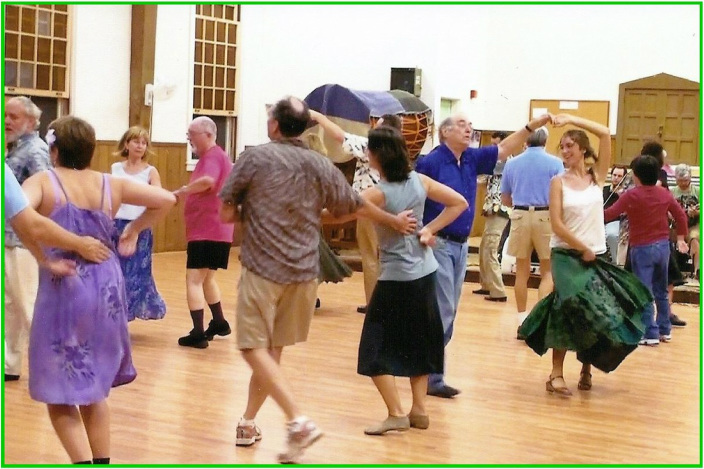 ● Contra Dance Links - an incredibly detailed site maintained by Charlie Seelig, with information about contra dancing in the United States, Canada, and the World. The site includes links to web pages for contra dance organizations, bands and musicians, callers, festivals, and other resources, and also has schedules for dancing--all by region. Check it out! ● The Hawai'i collection of traditional contra dances and English country dances, with tunes you can play on your computer. ● The country dances in Pride and Prejudice, from the 1995 A&E/BBC production of Jane Austen's novel. Contradancers of Hawai'i is a non-profit organization, affiliated with the Country Dance and Song Society.